They Came To Vermont? Like, Actual Vermont? 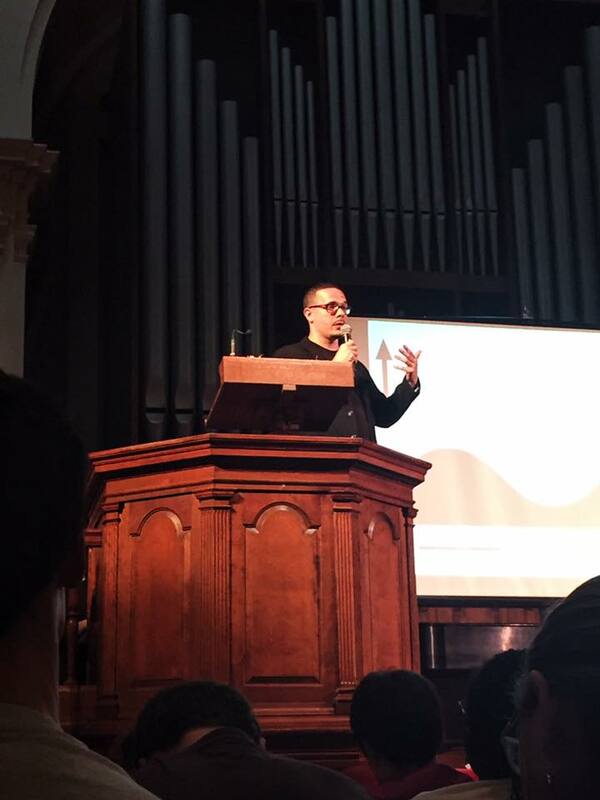 Last night, along with hundreds of others in a standing-only, busting-through-doors Mead Chapel, I saw New York Daily News Senior Justice Writer and political activist Shaun King speak on the relevance and reality of the Black Lives Matter movement, and field questions from the audience. As perhaps the most widely shared and circulated writer on my Facebook feed right now, to finally see Mr. King in real life was a fantastic experience. When he first began to speak, his natural ease made the gravity and significance of his points so much more impactful that at some lines, he was met with a deafening wall of silence, completely at a loss because of the truth to that point. To not only see this event, but see it for free and a five minute walk from my suite was incredible. But this sort of relevance in performance and events is not new to this talk or this year: Middlebury College, and in particular its student leadership, has consistently done a great job bringing things to our campus here in Vermont. An event that comes to mind for me is last fall’s performance of the King’s Singers, a world-renowned all-male vocal sextet from the UK. These guys. In Mead Chapel. My God, were they good. They performed a two hour set, the first half consisting of classical church hymns and the second half a collection of songs from their album, “Postcards,” traditional songs from various world cultures. I accidentally rose to give them a standing ovation at their penultimate song, but it was well deserved if not poorly timed. They gave an encore performance of Paul Simon’s “Some Folks’ Lives Roll Easy,” and if that wasn’t the most beautiful thing I’ve heard come out of a person’s mouth in my life then I just have no conception of beauty. It speaks volumes about the College for it to bring such a group here. At my time at Middlebury, I’ve gotten the opportunity to see Donna Brazile speak on the state of politics, watch artists like Chance the Rapper and Misterwives live in an intimate, small college venue, and that’s on top of the range of visiting scholars and academics that come pretty much every week for smaller lectures and discussions. This past Friday we had our annual International Politics and Economics symposium on the global illicit drug trade, featuring researchers on the subject from top organizations and programs, and next week the primary Art Critic from the Wall Street Journal will visit campus. And on top of all the wonderful student acts and performances, I think seeing these events is when I feel luckiest to be at Middlebury. This entry was posted in Uncategorized on November 2, 2016 by Daniel Dignan.